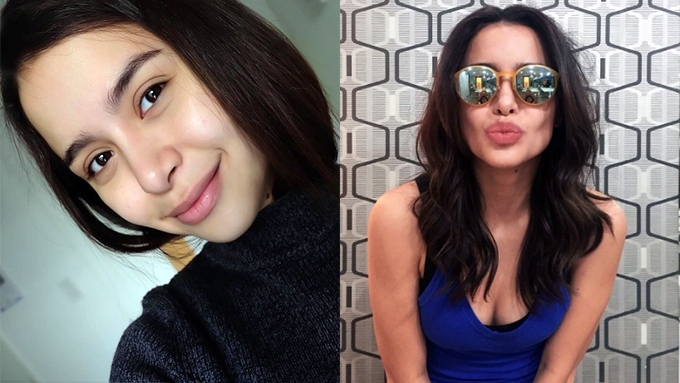 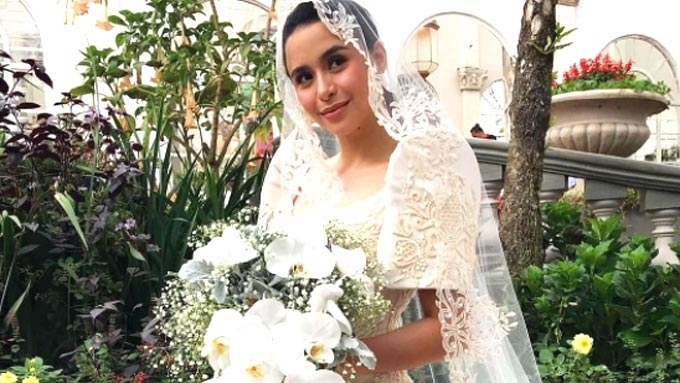 Yassi Pressman wore a custom Neric Beltran bridal Filipiniana gown. 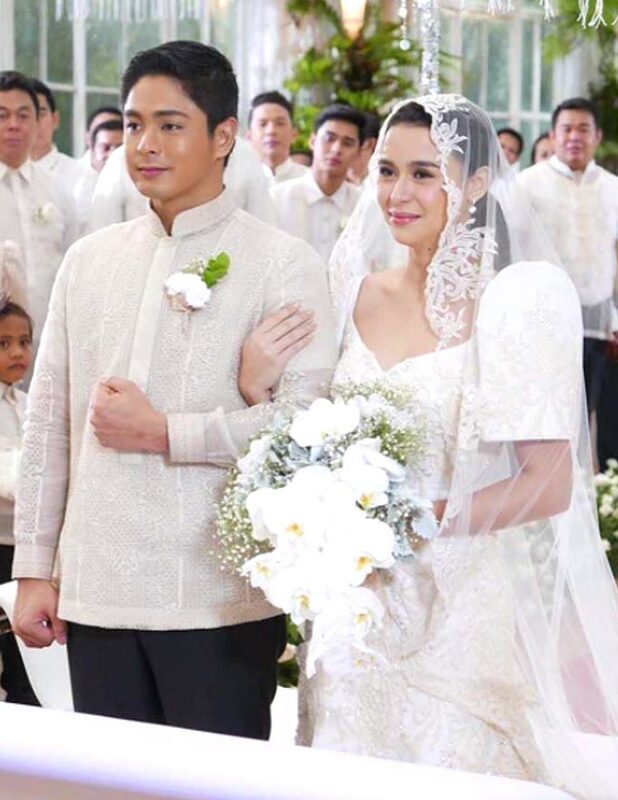 On the latest episode of the ABS-CBN primetime series FPJ: Ang Probinsyano, viewers witnessed the union of Coco Martin and Yassi Pressman's characters Cardo and Alyana. 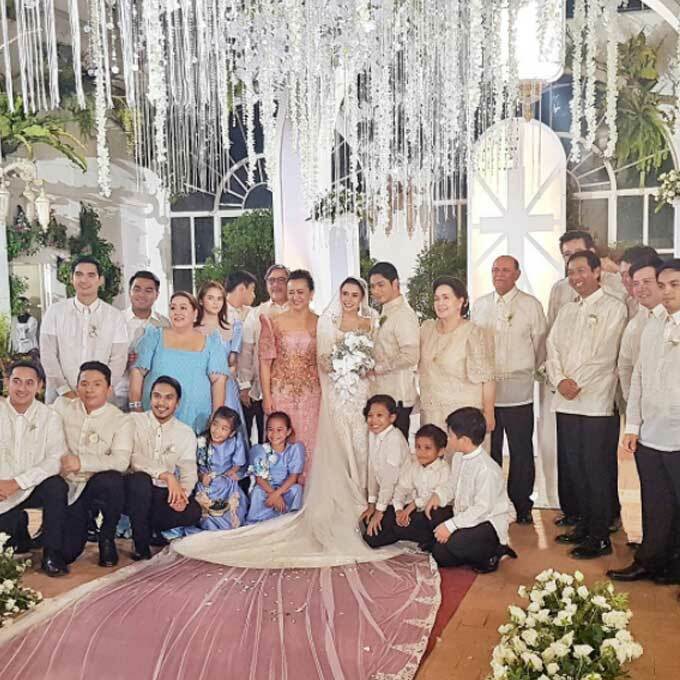 True to the show's nature, the wedding had a Filipino motif with their guests clad in traditional Barong Tagalog and Filipiniana dresses. 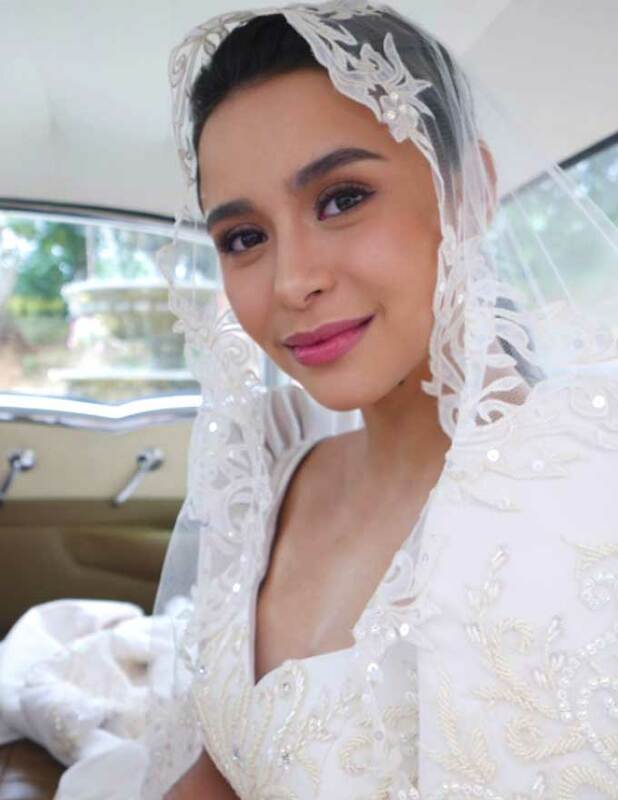 Yassi as Alyana made the perfect Filipina bride in her bridal Filipiniana gown. 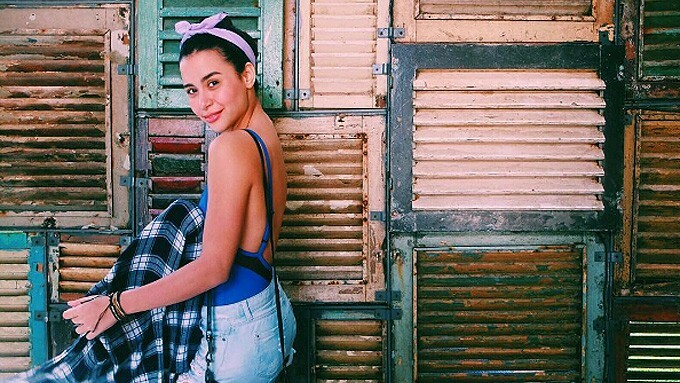 Designer Neric Beltran and his team stitched the custom bridal dress by hand. 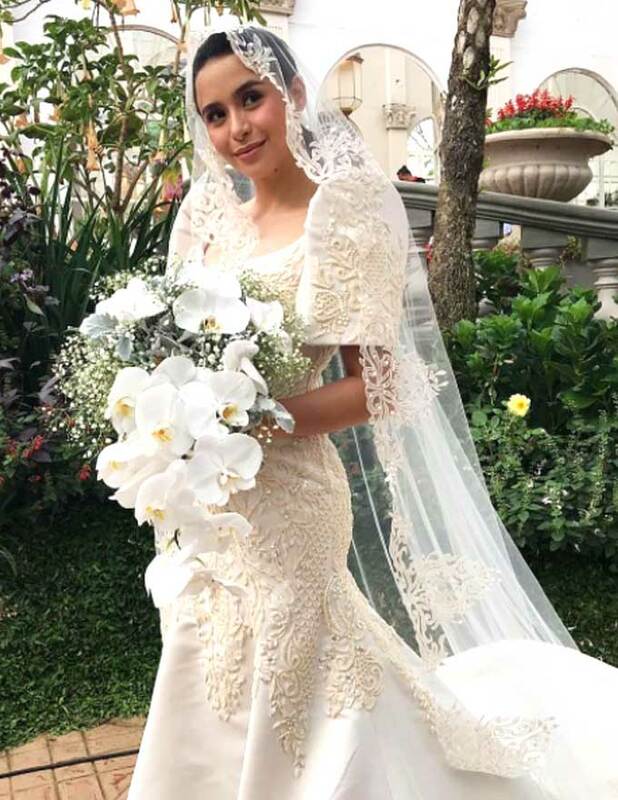 The base of dress was made with ivory duchess satin, the best choice of fabric for constructed gowns. 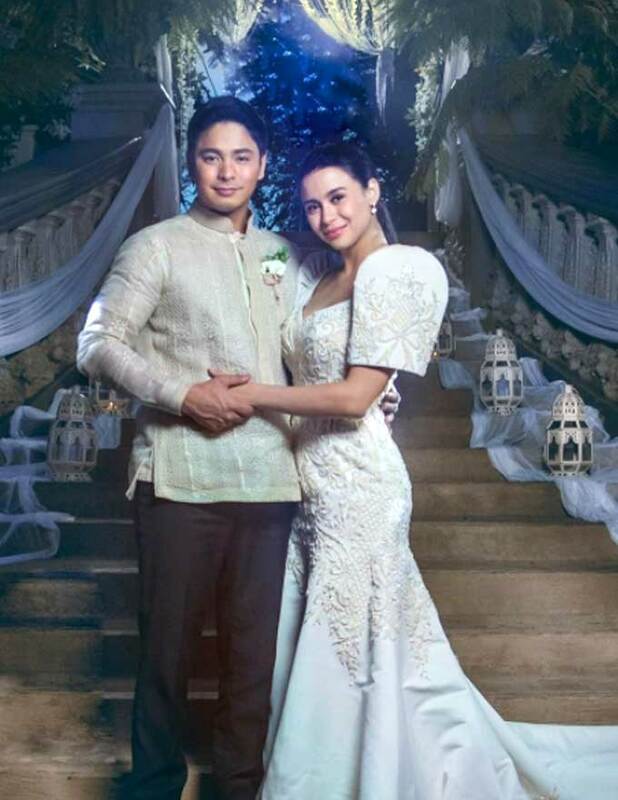 Its fine beaded details were hand embellished by Neric's team. 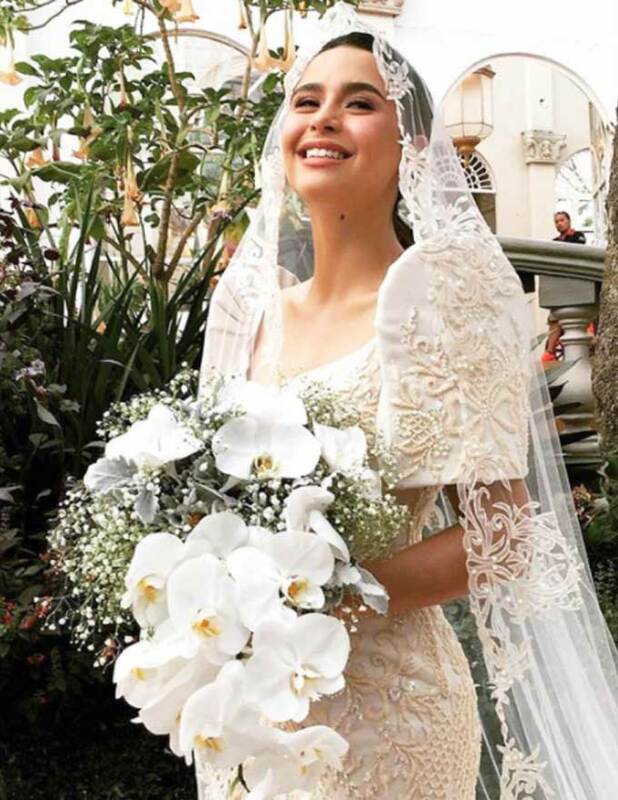 The floral embroidery cascaded down to the gown's train. 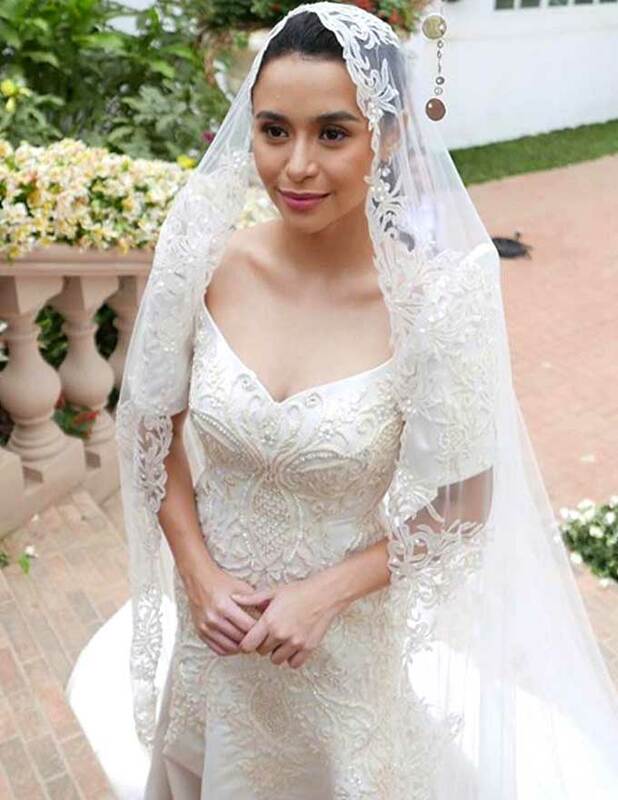 The lace-embroidered veil added a delicate and romantic touch to Yassi's overall wedding look. 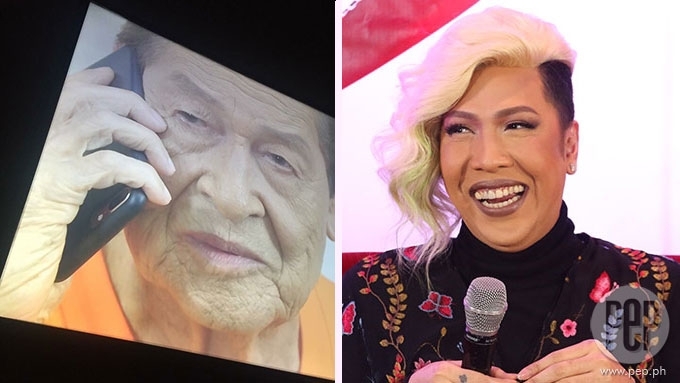 Neric also designed Nadine Lustre's "millennial" bridal look for Till I Met You.